is an appropriate name for this small winery and vineyard run by the brothers Gino and Joe Perata and their families. In Italian, Fratelli Perata means Perata Brothers. Brothers, Gino and Joe Perata, rekindled the winemaking history of their father, grandfather and great-uncle when they established their winery using grapes grown on their 31 acre vineyard. 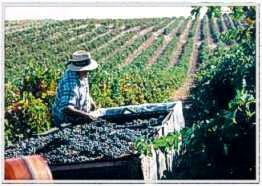 Sons of Italian immigrants, Gino and Joe learned winemaking at the knees of their father and great-uncle who produced hundreds of gallons of wine for family and friends while living in Camarillo located in Ventura County, California. Gino and Joe were taught from the very beginning about the need for hands-on work to produce top quality wines. Gino was earning a master's degree in sociology at Washington State University and making wine in his dorm room when he met his wife, Carol. Carol grew up in the Seattle suburbs. Following graduation and marriage, the Peratas were lured away from the halls of academia by a desire to return to Gino's agricultural roots. Gino and Carol became familiar with the Paso Robles area during travels up and down the coast between Washington and Ventura County. 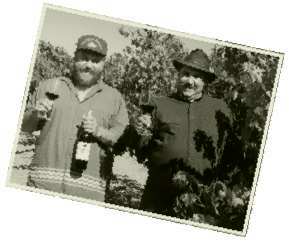 In 1977, with brother Joe, they purchased the Arbor Road site of their vineyard and winery. After much consideration, the Peratas chose this hilltop site over others because of the sunny climate cooled by Pacific breezes. From the beginning the Peratas followed the philosophy of Gino and Joe's father, who believed in stressing the plants to produce lower crop yields for the most intense fruit. "Buoni Amici" means "good friends" and Gino, Joe and Carol are the best of friends and extend that friendship to all those who visit the winery. Now, Fratelli Perata, the Perata brothers, along with Gino's wife Carol, produce high quality estate wines highly prized for their intensity. We hope you will enjoy them as much as we do.Their life is one of friends, family and wine. 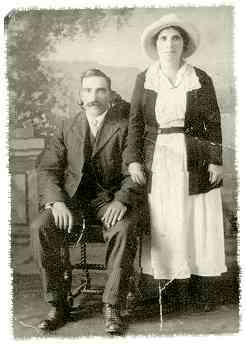 This website will try to bring you the flavor of our wines, life and history. Come along with us on our journey.